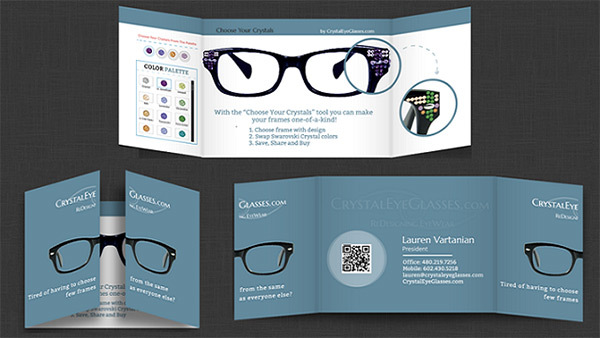 Creative designs always inspire people, whether the professional designer or rookie. This is because creatively crafted designs consist of innovative ideas that definitely work as a key to push the boundaries and entice for unleashing the imaginary artwork. However, it often seems crucial for neophyte designers, but aspiring designers try at least once to design the visually impressive designs after taking inspiration. 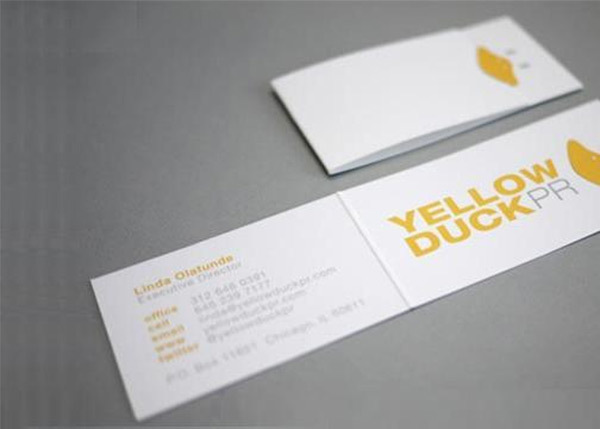 When it comes to business cards, then lots of things matter in this process that the designer must know. The designers preferred goal should be rendering afresh and ingenious solutions packed with unique ideas. 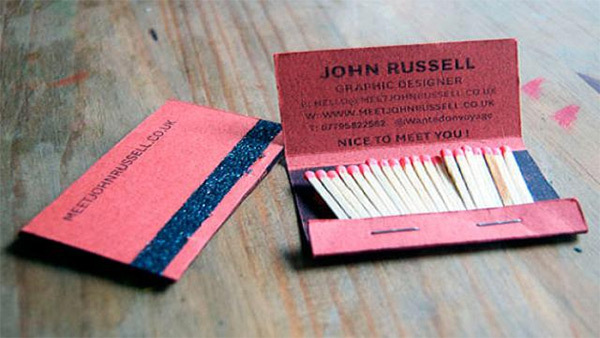 To keep the inspirational ideas’ series continue, we have collected a bundle of highly appreciated folded business card examples. 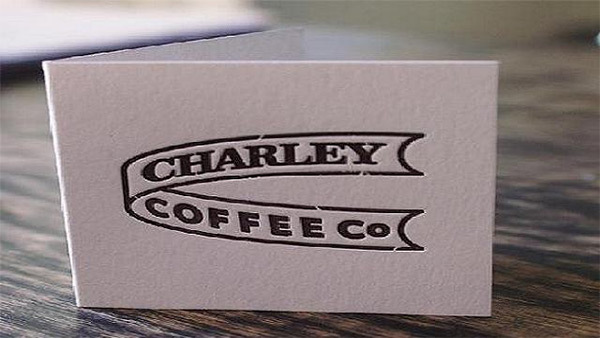 The scope of business cards is quite vast as you can use them for marketing, but their size, color, style, and capacity matter a lot. 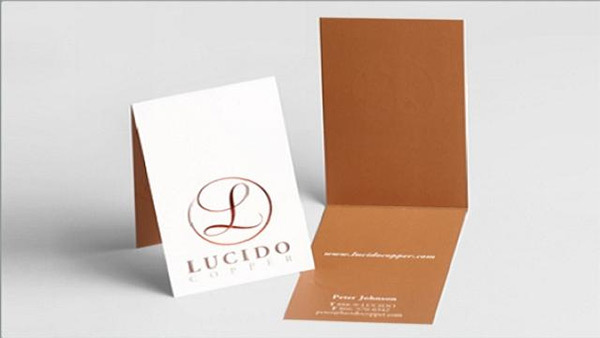 Hence, we provide the stunning collection of 20+ folded business card designs featured with awesome concepts and crafted in an appealing way. 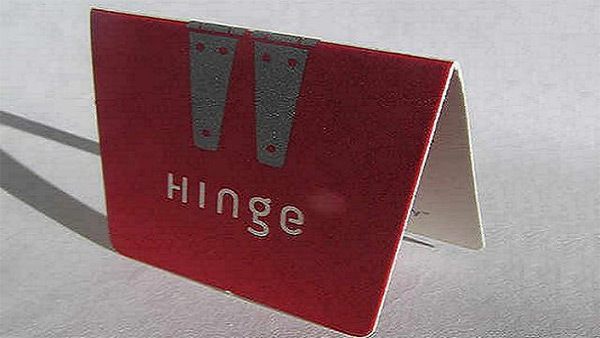 The creative folded card leaves iconic image in the users’ mind for a long time. The best of simple artwork where we see the stacked words in Capital letters. 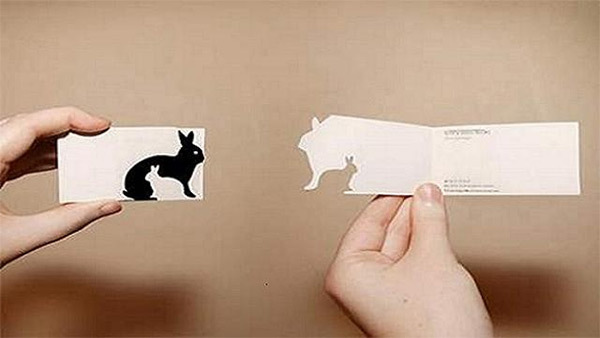 Cool and custom artwork of this business card you can only see once it is being folded as it displays the image of two rabbits. This company offers custom products and copper designs. 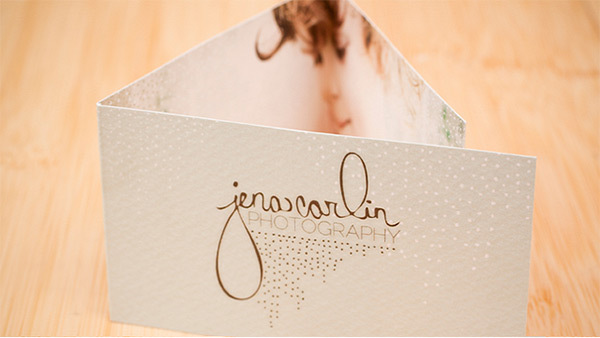 This is why, their business card comprise copper foil which is stamped in the folded design. It’s a classy example with minimal fashion that clearly says about the brand. 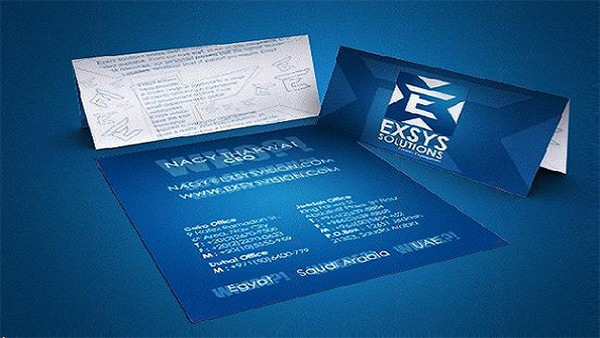 This business card in blue color contains almost all necessary information required to know about any solution provider. The combination of blue or white colors used here looks appealing. 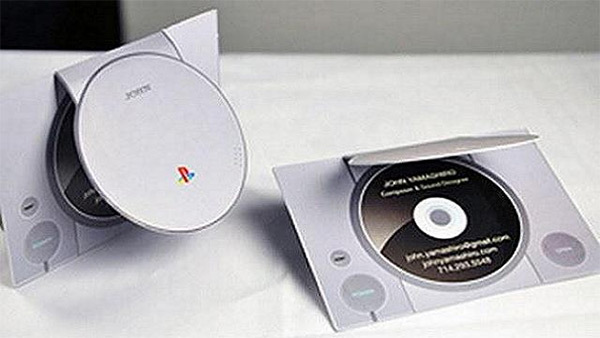 This one side folded card catches the users’ attention due to simple, but creative work which has been stunningly executed by the designer. The card has red color background from one side, but the other side it owns has white background. 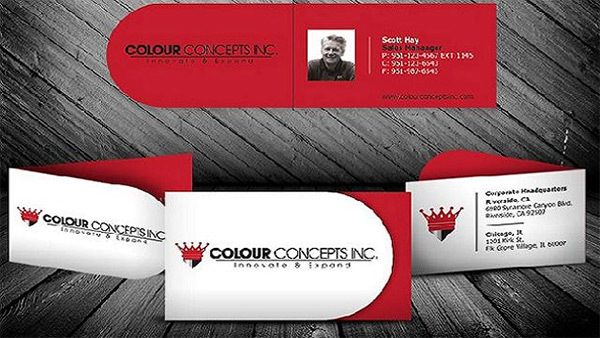 Two-sided colored business card used with contrast colors is one the perfect examples of professional card design for corporate organizations approached by the new concept. 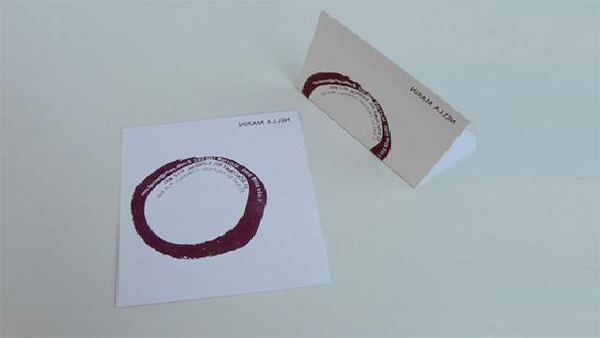 The most suitable example for the music companies that can be folded in total 3 versions vertically, horizontally, or simple folding. 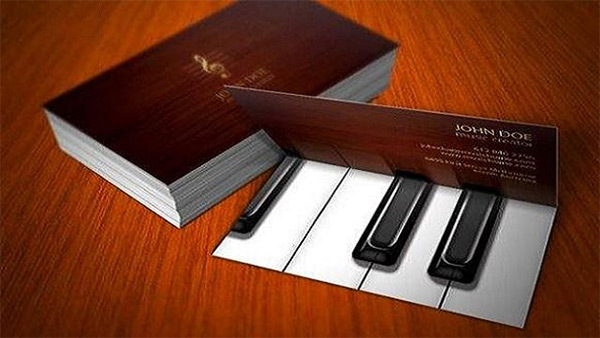 It impresses people with custom design when it appears in piano format. The example of outstanding creativity inspirational for sound & event studios, music firms, and other related companies. 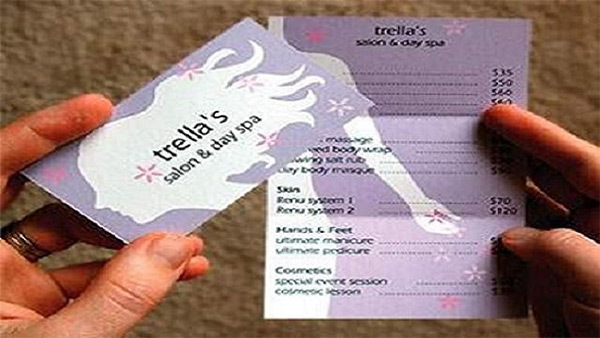 Comes with tri-folded design, this business card contains all possible yet useful information uniquely with the list of spa services and their prices. 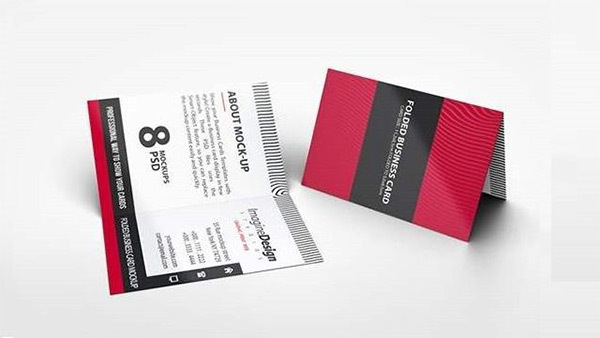 This realistic business card inspires the designers to add stylish look to their business card designs laced with 3 contrast colors red, black, and white. One of good designs for the furniture companies to take inspiration as it forms table in folded format. 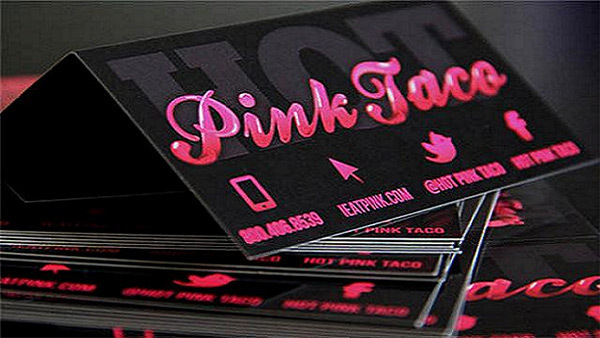 The use of bright colors makes it the coolest and beautiful design included with the information about social media ID, menu, contact info, and more. 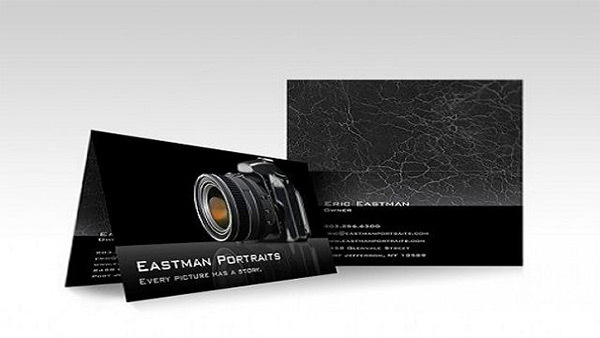 The professional card design embedded with camera is the best custom design example for photography studios. 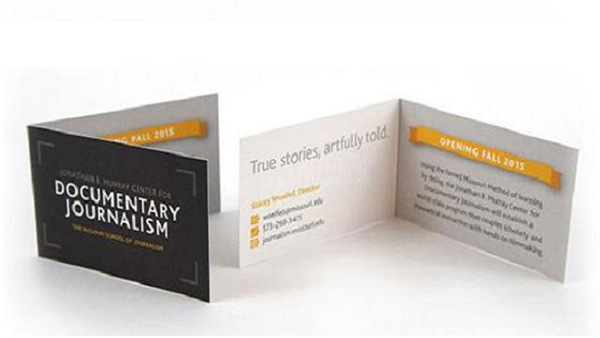 If anyone wants to out come from double-folded design and want to try something new, then go through this unique business card that provides big space to put more information. 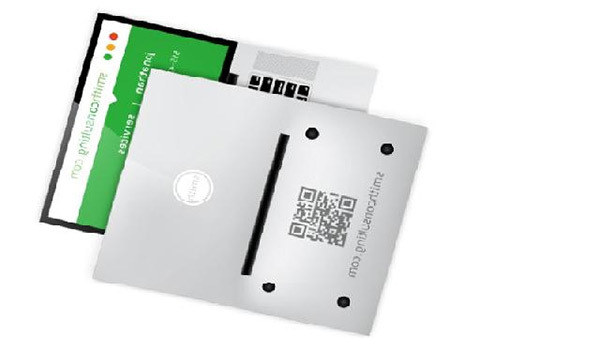 In the first view of this visiting card design, you can understand it represents hardware, mechanic, and related store shops. In the creation, remarkable style and concept have been followed aesthetically. 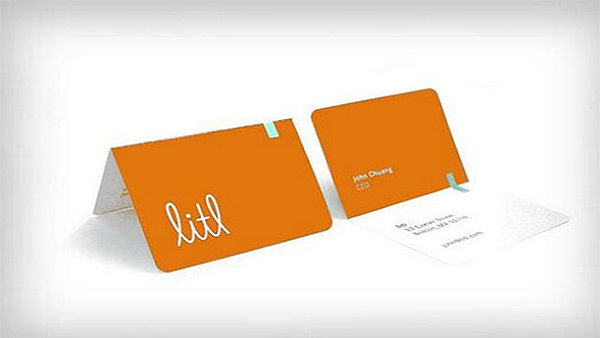 Designed with cool and unique style & look, this business card design is suitable for the computer device repairing shops that it showcases once you unfold. An amazing design oriented to the business concept. 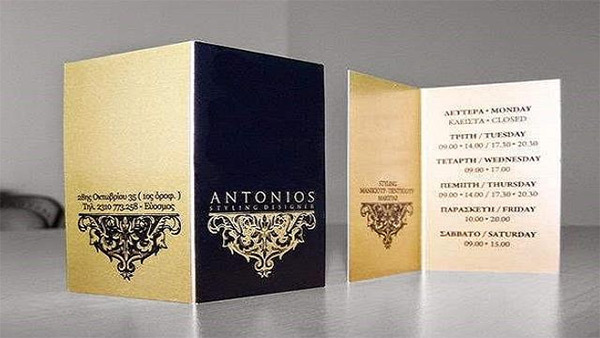 All included folded business card designs are enriched with their business objectives that have been crafted wisely to deliver the visually stunning solution which is fully customized. 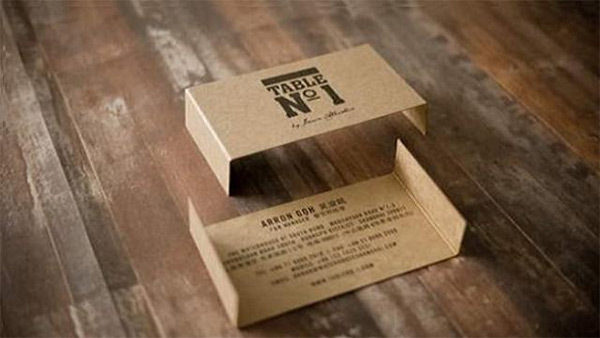 These examples we collected after deep research so that we can help you understand how important creative business card designs are that aspire you to design your own professional card. 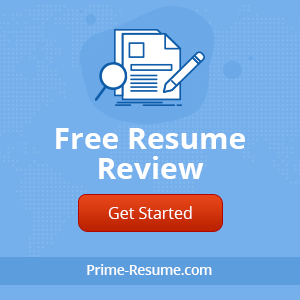 Author Bio: Steven Bowen is an experienced blogger from No-refresh, who loves writing and sharing posts enriched with information to elevate the users’ knowledge one step ahead. He is professionally online tool designer and intuitive writer as well who has delivered a number of articles and posts.